Editor’s Note: Brazil is in crisis once again. This time, Brazil’s president, Michel Temer, has been accused of corruption, bribery, and obstruction of justice. When news of this scandal broke, it triggered a huge selloff in Brazilian stocks. The iShares MSCI Brazil Capped ETF (EWZ), which tracks Brazil’s stock market, plummeted 18% in one day. It was the fund’s worst day since the 2008 financial crisis. Most investors now want nothing to do with Brazilian stocks. But we’re not like most investors. We understand crises can actually lead to huge moneymaking opportunities. 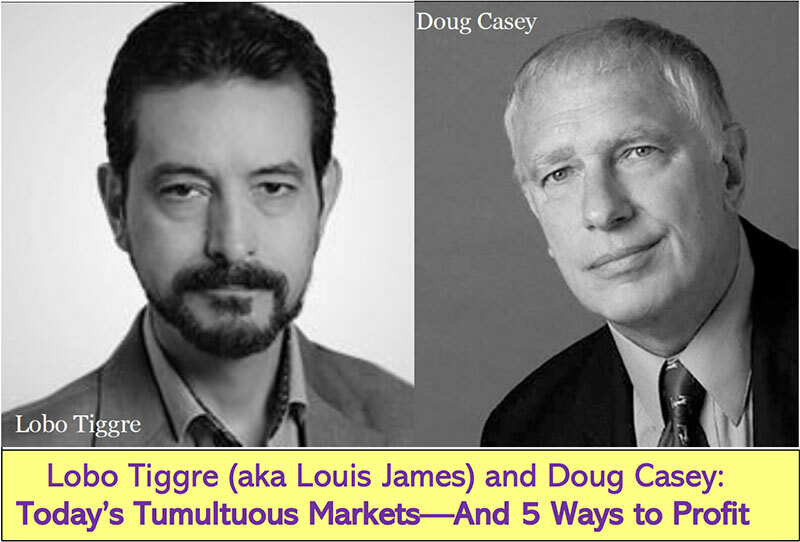 Casey Research founder Doug Casey has made millions investing in crisis-stricken markets like Brazil. That’s why we wanted to share this conversation with Doug from our good friend Justin Spittler of the Casey Daily Dispatch. Justin Spittler: Doug, what do you make of Brazil’s latest crisis? Do you see a crisis investing opportunity shaping up there? 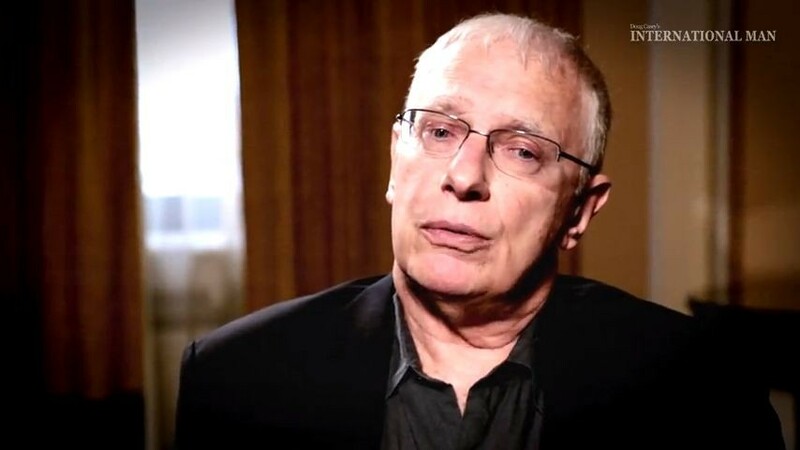 Doug Casey: I’m not sure I’m interested in putting money there right now. But I am interested in Brazil. As a matter of fact, as I speak to you right now, I’m out in the countryside of Uruguay, next door to Brazil. All these Latin American countries, quite frankly, are very problematical. They’re all very state-oriented. All of them have extremely high levels of taxes and regulations. I’m just surprised that Latin America has done as well as it has, quite frankly. But it could have done much, much better. Americans over the age of 55 are terrified of a rapidly spreading epidemic. It kills one person every 24 seconds – more than Alzheimer's. And in the next decade, it could take more American lives than the Vietnam War. There is hope however – a “miracle” cure in development right now. Looking at Brazil in particular, I wrote a long article on Brazil in The Casey Report in January of 2013, when three books had come out saying that Brazil finally turned the corner. That it’s going to realize its potential. Everybody was ultra-optimistic, and the stock market was bubbly. A spate of books or magazine covers—bullish or bearish—are always a tipoff. There’s this old saying: “Brazil is the country of the future. And always will be.” It’s worse than Argentina in terms of taxes and regulations and corruption. Frankly, I don’t know how anyone can do a legitimate business there. In terms of inflation, Brazil is even worse than Argentina. As late as the 1920’s, however, they both had currencies redeemable in gold coins. Since then they’ve both replaced their currencies several times, with compounded inflation numbers in the many trillions. Justin: So I take it you’re not buying Brazil on the dips? Doug: I see Brazil mainly as a speculative opportunity. The time will come when Brazilian stocks have high dividend yields and low P/E [price-to-earnings] ratios. I’ll be happy to buy Brazilian stocks, someday. There are a couple dozen that trade in the US. There used to be Brazil Fund, on the NYSE. It was an especially good vehicle since, as a closed end fund, it could sell at either a big premium or a big discount to its assets. Predictably, it was a big premium when people were bullish, and a big discount when they were bearish. It’s a real pity closed end funds have been mostly replaced by ETFs that always trade right at their asset values. The one for Brazil is the iShares MSCI Capped ETF (EWZ). Incidentally, I’m a fan of Argentina now, because of [Mauricio] Macri being in office. Whether he can break the logjam and free up Argentina or not is very questionable—although he’s done an immense amount so far, and seems a decent human being. On the other hand, maybe all he’s really going to do is just refill the treasury during his term in office so there’s something to steal for the next Kirchner government—or the next Kirchner lookalikes that come into office. That’s the problem with all Third World countries. You can’t really “invest” in any of these countries. You can’t invest in Brazil. You can only speculate in these countries. So I’m very interested, but the timing is not right yet. Incidentally, the first time I thought about Brazil was when I was a kid, collecting stamps. I noticed some had multiple zeroes for the currency, for postage. Then, in college, I considered driving a car down there, to sell for a multiple of its US price because of the huge duties all the South American countries had—still have, actually—and escaping on a banana boat, or the like. And I remember reading, at the same time, about Daniel K. Ludwig, an American who was then one of the world’s richest men, who bought 1.6 million acres of Amazon jungle for $3 million in 1967. It was still possible to do that sort of thing then. Of course that’s still only like $20–25 million today. He wanted to make it into a pulp plantation. It was a disaster. Justin: Aside from Brazil and Argentina, what other countries are on your radar? Any other crisis investing opportunities we should know about? Doug: Well, I spent a week in Haiti in April when I was talking to mostly high government officials. Now, Haiti is the basket case of the Western Hemisphere—and one of the worst basket cases in the world. The investment possibilities? Absolutely zero, unless they radically change the basic structure of their whole economy, which means radically changing the way the government relates to their society. But these backward countries are quite entertaining. I was in Zimbabwe last year doing the same thing, looking at business as well as talking to the government. Once again, it’s the exact same problem. The income of the average Haitian, or Zimbabwean, or Brazilian was about the same as that of the average Singaporean or Hong Kong person back in the 60’s. Since then the average in the first three has gone nowhere, but in Singapore and HK everybody is getting rich. It’s all a matter of what the government does—and doesn’t—do. Justin: Do you plan to visit any other backward countries like Haiti and Zimbabwe in the near future? Doug: Chances are good that in the next few months, I’ll be going to Angola, Guinea (Conakry), the Democratic Republic of the Congo, and/or Mozambique. All of them are hopeless basket cases. All crisis-type places, totally impossible for investment. In other words, the only way you can put money in those places is on a hit-and-run basis. It’s impossible and idiotic to try to “invest” in those countries. The only kind of entrepreneurship that exists in those countries is political entrepreneurship, or perhaps finding some way that you can import or export something. But trying to produce something within the country? Almost a non-starter in most of these countries. It’s one of the reasons that make me pessimistic on the world in general, because most of the actionable innovation and production and capital accumulation in the world takes place in North America, Japan, and parts of Europe. The populations of those places—and I should add China and South Korea—are aging rapidly. But, more important, the whole world is slowing down as these countries start to more and more resemble the old Soviet Union. More political correctness, with more rules, more regulations, more bureaucracy, higher taxes, unstable currencies, and fewer property rights. As always, I’m of two minds. The good news is there are more scientists and engineers alive today than have lived in all the world’s history put together. And they’re continuing to do fantastic things, which are improving life. But at the same time, you’ve got a countertrend, a slow collapse of Western Civilization that started in about 1914. Which is going to succeed, and over what time frame? I don’t know, but how to answer the question: What’s the best crisis investment in the world today? I’m not sure I’d look for one until there’s a big crisis in the US. My view is that we’re still in the eye of the hurricane that we’ve been in since the leading edge of the storm started in 2007. And as we go into the trailing edge, we’re going to have big crises all over the place. We’re going to have more crises than we’ll know what to do with. The thing to do right now is to keep your powder dry. Being in the stock and bond markets is like picking up seashells on the beach when the tide goes out just before a tsunami. This isn’t the time to go looking for a crisis, because we don’t have one just at the moment. Justin: Great insights as always, Doug. Thank you for taking the time to speak with me. Editor’s Note: As Doug said, we could soon be heading into the trailing edge of the financial hurricane that first made landfall in 2007. Until then, we’ll “keep our powder dry” and wait to pounce on the opportunities it’ll bring while others run for cover. Be sure to check out this urgent dispatch that Doug and his team just released. It reveals how you can flip this coming crisis into huge profits.